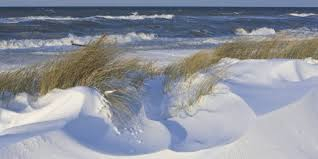 The winter beaches are invigorating. A winter wonderland when it snows. Many migratory birds stop by for sunflower seeds. The tranquil cottage is near beautiful bay beaches and nestled in Settlers Landing, an area where over 200 acres are reserved for wildlife. Growing up within a family of artists, creativity was a way of life. A profound influence on Lois was the endless inspiration and motivation of her brother, the late Ron Tunison. His achievements are memorialized in nine historical monuments. Simplify lodging. Stay at the cottage. Comfortable, bright, airy, cozy room with private bath. Inquire about availability and pricing.